Some details have been released about ~CHOTTO~, the modern izakaya that’s opening in the former Three Seasons space in the Marina. The 66-seat izakaya will serve a very authentic menu of small dishes (chotto means a “small unit of measure” in Japanese), which includes sushi (weekends only) using fish flown straight from Tokyo’s Tsukiji Market, kushiyaki (skewers grilled over charcoal), fried dishes, ramen, and sunomono (pickled) house-cured vegetables. There will be a menu of rare, small-batch, specialty sake and shochu chosen by Seio Shimada (of World Sake Imports) and general manager Derek Hunter (Yoshi’s), who will oversee the beverage program—along with wine, and both domestic and Japanese specialty craft beer. There will additionally be some sake/shochu-based “cocktails” created by barman Todd Smith (previously Beretta, Bourbon & Branch). 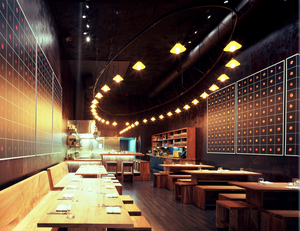 The space (designed by Erin Altman) features elements like glossy white tile juxtaposed against rough, reclaimed barnyard wood walls—there will also be intricate, handcrafted Japanese paper art in the form of tiny kites and lanterns in the two private dining spaces. If all goes according to plan, Chotto will open its doors next Monday December 6th. I’ll have more details about the menu next Tuesday. 3317 Steiner St. at Chesnut, 415-441-2223. 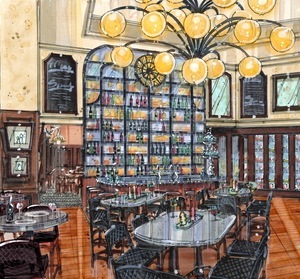 A tablehopper reader let me know that 101 California Street, slated to become the future home of ~BRASSERIE LILLE~ (the mega brasserie project from Mark Weiss of Whisk Group) has a notice to quit in the window. I got in touch with Weiss, and he said the project is now on hold and won’t open in that location (although he really wanted to be there). He’s actively looking at a second location, so stand by for an announcement. As for his plans for the AQUA project, there’s nothing to report yet on that front. 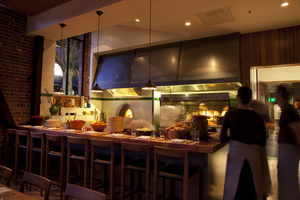 ~COTOGNA~ will open its doors for lunch beginning tomorrow, Wednesday December 1st. Have you had a chance to look at the Cotogna menu yet? It includes a three-course prix-fixe lunch for $24, a variety of antipasti for $10 (like a spinach sformato with Grana Padano fonduta), pastas for $16 (including gnocchi with wild nettles, pappardelle of lamb cooked in the wood oven, and pici with sausage ragu and roasted chestnuts), pizzas from the oven for $15, and of course some grilled numbers, like spit-roasted pork with wild fennel and satsumas ($20). With the launch of lunch, there will now be continuous service Mon-Thu 11:30am-11pm, and Fri-Sat 11:30am-12am. The menu will be the same for lunch and dinner, with a limited midday menu of a few rotating dishes available from 2:30pm-5:30pm. Some of you may have seen Le Truc, the school “bustaurant” that serves food at a variety of Off the Grid and other street food events. 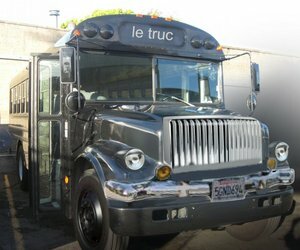 According to SFoodie, Le Truc is going to be regularly parked in the Wells Fargo parking lot on Brannan Street for lunch. And if it’s a rainy day, you’ll be able to take a seat at a table inside the bus. Urban Daddy mentions this additional tidbit: “In a few weeks, they’ll start parking near a bar (hint: one serving a good selection of Belgian ales) and dishing out prix-fixe dinners with courses as extravagant as sashimi or as hearty as chicken meatloaf.” Follow them on Twitter for updates. 470 Brannan St. at 4th St.
Also in SoMa, a tablehopper reader reports Crêperie Saint Germain “has taken over the Metro Crepes space at 1 Sansome, and then on their website looks like they’ve got a third location up and running in SoMa near Van Ness (inside a Chevron station).” Eater also reported the dine-in location at 1 Sansome Street includes sandwiches and smoothies. Hours for 1 Sansome are Mon-Fri 6:30am-4pm, and the take-out operation at the Chevron Station (the Tower Car Wash one at 1601 Mission St.) serves crêpes from 7:30am-2pm. The original take-out stand at 222 2nd Street continues to serve Mon-Fri 7:30am-4pm, and additional evening hours of Fri-Sat 8pm-4am. And Tim Luym, the former chef at Poleng Lounge (currently at Attic in San Mateo) joined up with a couple friends and just launched The WOW Truck this past weekend, serving silog. Here’s more from The Feast: “The fare is strictly silog, a traditional Filipino breakfast-y dish that always has fried eggs, garlic rice, and a heaping pile of meat, but you can supplement with adobo wings or sweet potato fries. The plates are simple, offering a choice of corned beef, pork sausage, spam, or chicken nestled against a generous portion of rice, eggs, and fresh tomato.” Here’s the Twitter feed, so you can track the truck, which seems to be mostly wheeling around downtown San Jose. Oh yeah, and there’s a DJ setup on board. Woot! I’ve been wondering what was moving into the former Apollo Café on the corner of Fell and Laguna. Then I saw a sign for ~MAZZAT~, and then a ‘hopper reader informed me it’s going to be Mazzat Lebanese. The plot thickens! Will let you know when I hear back from the owner. 501 Fell St. at Laguna. 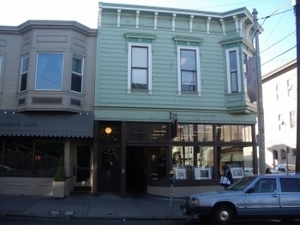 The owner of ~WINE JAR~ on Fillmore Street in Pac Heights, Kamran Shirazi, is going to be opening a second wine bar on the other side of the hill, at 3131 Fillmore Street in Cow Hollow (next door to the upcoming Atelier Crenn). It’s going to be called ~PE YALE~, which is Farsi for “a glass of wine.” There will be around 60 wines by the glass, focusing on smaller-production vineyards, and about 65 percent will be domestic. There will also be appetizers, ranging from cold cuts to cheeses with local honeys and seasonal compotes, and some chocolate desserts. Shirazi sees the 49-seat space as an ideal place to hang out before or after dinner, at a variety of couches and high and low tables. It’s a spacious corner location, with lots of windows and high ceilings. There will be table service. He’s aiming for mid-January for the opening date. 3131 Fillmore St. at Pixley. Liquor License Watch: Some Findings! Iluna Basque photo from Yelp. 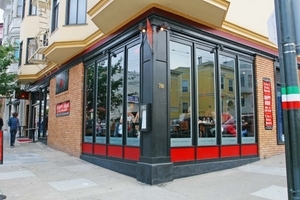 Back in September, the Inside Scoop mentioned Frascati’s Rebecca and Jon Rader were potentially taking over Mattin Noblia’s ~ILUNA BASQUE~ in North Beach. They are currently being very tight-lipped and all no-commenty about their project, but a liquor license transfer now lists the project as ~CAMPANULA KITCHEN &AMP; BAR~. Once the Raders decide to start talking about the what and when, I’ll report back. Iluna Basque remains open for now. 701 Union St. at Powell. 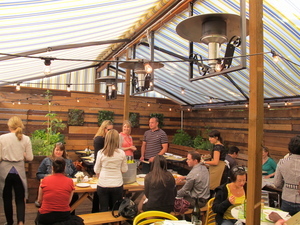 Over in Bernal Heights, ~SOCHA CAFE~ got a wine and beer license, so they are now serving, uh, beer and wine! 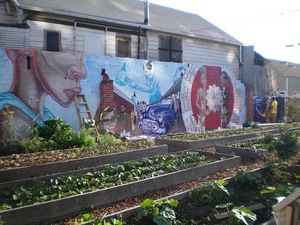 3235 Mission St. at Valencia, 415-643-6848. 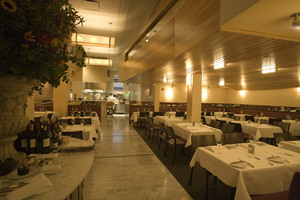 Perbacco dining room (photo from Perbacco). A couple tasty-sounding Italian seasonal meals are coming up. First, this Thursday December 2nd, ~BAR BAMBINO~ is hosting a five-course dinner inspired by regional Italian festival menus, with dishes like veal and ricotta stuffed tortelloni; roasted pheasant with pomegranate molasses and heirloom chicories; porchetta; and doughnuts soaked in a warm honey and vin santo syrup. You can view the entire menu here. $100 per person with wine, all inclusive (tax and gratuity included); $75 without wine. All parties at the table must participate in the Celebration menu; vegetarian options will be available. 5pm onwards. Email or call 415-701-8466 to reserve. 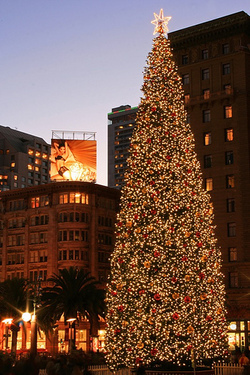 Downtown, ~PERBACCO~ will celebrate the holidays with a menu dedicated to the flavors and cuisine of Torino, Italy. Available December 7th-18th, the menu will include the special dishes and ingredients owner Umberto Gibin grew up with. Apart from a few separately priced items, the four-course set menu will be available for $45 per person. Chef Staffan Terje’s menu will include dishes such as agnolotti al brasato di bramaterra (pasta filled with braised shortribs), cardoon risotto, rotolo d’oca con marroni (slow-roasted goose with braised chestnuts and Jerusalem artichokes), and for dessert, pastry chef Suzanne LaFleur is making gianduia 5.0: five preparations of the classic Torinese combination of chocolate and hazelnut, along with other choices. Reserve at 415-955-0663. On Tuesday December 7th, ~STARBELLY~ is hosting a family-style Dungeness crab boil and chardonnay feast on the patio with winemaker Jim Malone from Terra Sávia vineyards in Mendocino. The menu (subject to change) includes fresh Dungeness crab with drawn butter and rémoulade, soft homemade milk rolls, Caesar salad with avocado and garlic croutons, oiled potatoes and housemade smoked sausages, and spiced apple cobbler with brown sugar oat crumble. 5pm-9pm. $56 per person. Reserve at 415-252-7500. 3583 16th St. at Market. Flickr photo from Breathtaking Photos. Next Thursday December 9th, Burger Bar is kindly hosting a ~HAPPY HOUR HOLIDAY FUNDRAISER~ for ECS (Episcopal Community Services), which helps provide shelter, housing, jobs, and other essential services to homeless and very low income San Franciscans. Come by the private room from 5pm-7pm, enjoy appetizers by Burger Bar and a glass of wine while admiring the view of the twinkly lights of Union Square. Tickets are only $15 if you signed up to sponsor a resident this holiday season, $25 online, $30 at the door. Burger Bar, 6th floor of Macy’s Union Square. So, what is the sponsor a resident program? Well, if there’s someone who is difficult to buy for on your holiday gift list, what about taking care of someone else’s needs on their behalf? You’ll help with a resident’s modest gift requests ($25 and under) for sweatshirts, sweatpants, bed sheets and linens, blankets, robes, and other essential items. There are nine supportive housing sites, with plenty of people who just need a sweatshirt, or slippers. If you’d like to participate in this program by fulfilling a resident’s gift request, please email Megan or call 415-487-3736. Whatcha doing this Thursday? Chefs Charlene Reis and Paul Arenstam of Summer Kitchen Bakeshop are hosting a fun event: ~SHOP AND SUPPORT FOR PEOPLE’S GROCERY~, to benefit this food justice organization that believes healthy food is a human right. The event will be a casual night of tasty food and holiday shopping from some favorite local shops. On Thursday December 2nd, from 7pm-10pm, guests will enjoy light food catered by Summer Kitchen, wines provided by Vintage Berkeley, and there will even be “snowballs” from the Skylite Snowballs truck. Participating retailers will donate, at minimum, 10% of their proceeds for the night to People’s Grocery. Participating retailers include: jams: Blue Chair Fruit, jewelry: Lucid Designs Contemporary Jewelry, gifts for the home: LOLA, gifts for food lovers: Summer Kitchen, books for the garden and more: Mrs. Dalloway’s, and gifts for the dog lover: Blueblood Pups. Tickets are $10 in advance, $15 at the door. Vintage Berkeley, 2949 College Ave., Berkeley. 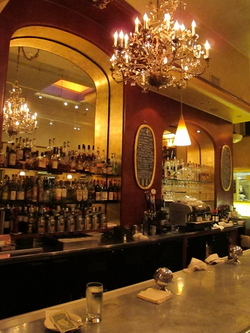 The bar at Café Rouge. Photo courtesy of Café Rouge. Next Monday December 6th, ~CAFÉ ROUGE~ is hosting a special evening class/event, Charcuterie, Cheese, and Wine for the Holidays from 6:30pm-8:30pm. Guests will taste housemade charcuterie with a selection of cheeses from The Pasta Shop, selected by cheesemonger Juliana Uruburu. Barbara Haimes, wine educator and Café Rouge wine director, has paired a wide range of wines (spirits and beer, too). Here’s the menu: Robiola di Lange from Italy with lonza with lambrusco; Parmigiano Reggiano and mortadella; Roves des Garrigues fresh goat cheese with an herby rabbit rillette paired with Loire wine; Beaufort served with bresaola and Belgian beer; Rogue River Blue with pear brandy and honeycomb; Wilde Weide aged Gouda with beef jerky and Scotch. $65. Space is limited. Call 510-525-1440 for reservations. 1782 4th St. at Hearst, Berkeley. One of the most delicious meals I’ve ever had in Santa Cruz was at Bonny Doon Vineyard’s Cellar Door Café, with chef Charlie Parker throwing down some mad culinary skills (working for Manresa’s David Kinch will do that to you). The Inside Scoop broke the story that Parker’s next move was going to be the chef position at Daniel Patterson’s ~PLUM~ in the new year. Well, it’s happening sooner than that, because he’s actually starting around December 13th. He’s not going to be changing the menu right away, but it will be evolving in time. Speaking of the menu, Grub Street has a copy of the new lunch menu that launches this Wednesday, check it out. Lunch will be served Mon-Fri 11am-2pm. 2214 Broadway at Grand, Oakland, 510-444-7586. 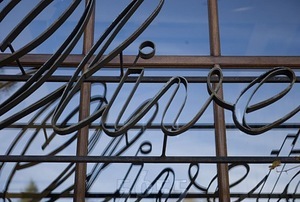 Oliveto’s sign. Photo via Oliveto. Some breaking news: the Inside Scoop reports Paul Canales is leaving ~OLIVETO~ after 15 years of working in the kitchen there. It’s reportedly an amicable departure. His last day will be this Saturday December 4th, and he reportedly has a solo project in the works. His replacement is Jonah Rhodehamel, “who has been a sous at places like La Folie, Zinnia and Americano. He’s been working with Canales to make the transition as seamless as possible.” 5655 College Ave., Oakland, 510-547-5356.